Sarah Clinton has lived in Faith Creek her entire life. Her family were among the very first people to arrive and settle in the then wild and untamed land. Quiet and shy, she finds her place working for Maeve Fountain and begins to wish she had the feisty woman's determination and spirit. 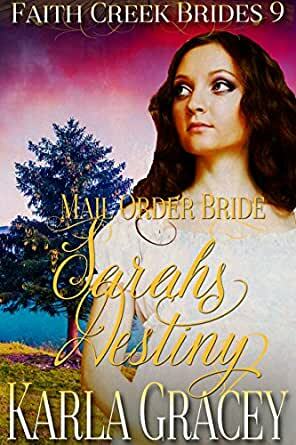 Taking her destiny in her own hands, she responds to an advertisement, hoping to find the happiness so many around her in Faith Creek have done, but can she trust that he truly wants her and not her effervescent and amiable employer?